As Wellesley Public Schools reworks several aspects of its STEAM-related curriculum, more work is needed to expand programming and engage students in opportunities both inside and outside the schools. WPS is especially looking for outside partnerships that will enhance STEAM programming, both for those students who have a keen interest in STEAM-related subject matter and for the student population at large. Wellesley School Committee (March 2009 – 2015); Town Meeting Member. Currently Vice President of Academics for Wellesley ABC. Previously, Co-President of Wellesley Education Foundation; Vice Chair of Yes for WHS Campaign Committee; Moderator of Central Council of PTOs; Schofield PTO President; Director, Strategic Projects and Marketing at Allied Domecq/Dunkin’ Donuts, Interim VP of Organizational Development; Consultant at Boston Consulting Group, Chicago, IL; B.S. in Engineering and B.A. in Economics from Swarthmore College; and Masters in Management from the Kellogg Graduate School of Management at Northwestern University. 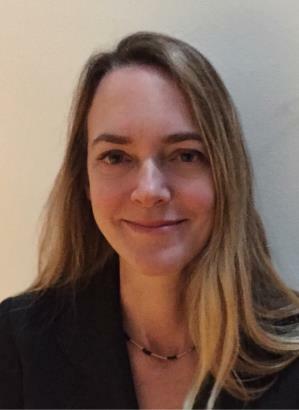 Delissa Prideaux currently serves as Treasurer of the Wellesley Education Foundation, as Co-President of the Wellesley High School PTSO and as a Board member of Committee 21. 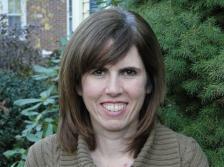 She was formerly Treasurer and then Co-President of the Schofield PTO, and Treasurer for Wellesley Middle School PTO. Prior to moving to Wellesley Delissa was a financial consultant to Vickers PLC in London and before that, Vice President/Controller for Whittle Communications, best known for launching the Channel One student news show and for founding Edison Schools/Edison Learning. She received her CPA’s license in Tennessee, has an Executive MBA degree from Ashridge Management College in England, and a BS from the University of Tennesse, Knoxville. Delissa has lived in Wellesley with her husband since 2000. They have a student at WHS and another at Schofield. In his entrepreneurial career, Jamey Bennett has founded three successful companies: BookWire, Inc., LendingTree, Inc. and LightWedge, LLC. In 2001, Bennett developed and patented an innovative LED reading light called the “LightWedge” which quickly became a top seller with its sleek design and superior performance. As reading shifted to e-reading, LightWedge moved to create and introduce some of the first e-reader cases and covers, and an e-reader light which reigned as the top selling e-reader light in the world for several years. In his eleven years as CEO, Bennett successfully grew and managed the company from a one-item start-up to top market share in reading accessories, and a rapidly growing share of the global e-reader and tablet accessories market. Prior to starting LightWedge, in 1996 Bennett co-founded LendingTree, Inc., the online loan marketplace where lenders compete for business and customers choose the loan that’s right for them. Since its launch, LendingTree has facilitated over $214 billion in closed loan transactions. In 1994, Bennett conceived of and launched BookWire.com, a clearinghouse of information for the book publishing industry. Bennett ultimately sold the company to Reed Business Information (RBI), a division of Reed Elsevier, and joined the management team of RBI’s entertainment group. Bennett graduated from Bucknell University in Lewisburg, PA in 1990 and served on Bucknell’s Board of Trustees for eight years. He currently serves as a trustee of the Nantucket Conservation Foundation. He lives in Wellesley, MA and is the father of four children. David Center has lived in Wellesley since 1979 and has a daughter in middle school. 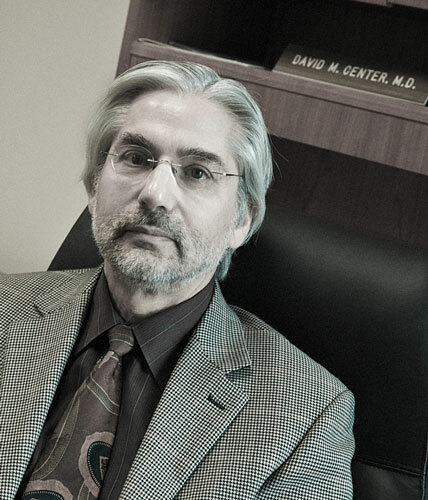 He is a Physician Scientist at Boston University School of Medicine and Boston Medical Center. His clinical areas of expertise are in Pulmonary, Allergy and Critical Care Medicine and his scientific area is human immunology. Over 35 years he has been continuously funded by the National Institutes of Health for basic and translational science and has authored over 150 scientific publications. He has mentored over 35 PhD students and PhD and MD post doctoral fellows into science careers many of whom are now successful independent scientists. He has a lifelong commitment to training and education of scientists and has provided hands on experiences in his laboratory for dozens of high school and college students to expose them to the excitement of real time scientific discovery. He brings to the Superintendent’s advisory committee an understanding of the tools necessary for successful STEAM careers and direct experience in creating environments that excite and encourage students to follow those pathways. He is currently the Gordon and Ruth Snider Professor of Pulmonary Medicine, Professor of Medicine, Biochemistry and Biomedical Engineering, the Chief of Pulmonary, Allergy and Critical Care Medicine and Associate Provost for Translational Science at Boston University and Boston Medical Center. Christine Crowley currently oversees fellowship and internship awards at the Center for Astrophysics (CfA). The CfA is one of the largest astronomical research organizations in the world. It is comprised of the Smithsonian Astrophysical Observatory, the Harvard Department of Astronomy, and the Harvard College Observatory. She is also a current member of the Cambridge Mayor’s Task Force on STEAM Internships & Apprenticeships. 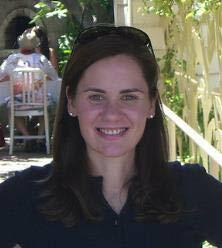 Prior to joining the CfA, Christine was the Graduate Program Manager at the Department of Molecular and Cellular Biology (MCB) at Harvard University. At MCB, she worked closely with faculty across several life sciences departments to initiate interdisciplinary training programs in Genetics and Genomics and Molecular, Cellular, and Chemical Biology. She has a masters degree in Curriculum Reform from UMASS Amherst. Most important, she is a graduate of the Wellesley Public School System. As a student-athlete at Wellesley Senior High School, she received All-America honors in track from the National High School Athletic Coaches Association. She was also recognized by USA Today as its high school achiever of the year among amateur athletes in Massachusetts. Michael F Fallon is a Principal Engineer at Intel Corporation, working out of Intel’s Center for Innovation Lab in Hudson MA. He is responsible for establishing new growth areas for the company, a role that includes developing technologies which drive new business opportunities in the areas of small-form-factor modular computers, mobile platforms, and embedded systems architecture. Mike has 17 granted patents and numerous others pending approval. 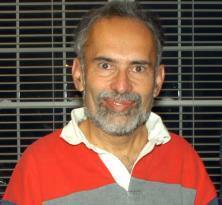 He is also the author or co-author of multiple papers published in technical journals. Mike holds a bachelor’s degree in electrical engineering from Villanova University, and he lives in Wellesley with his wife and their two children. 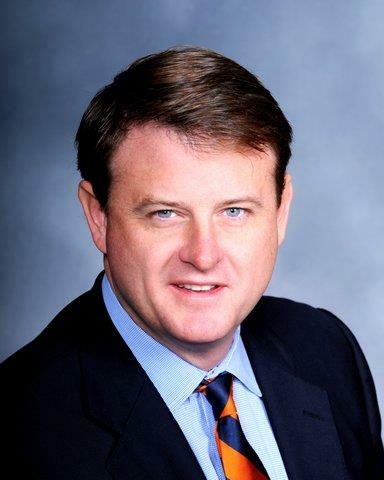 As Senior Vice President, Mr. Hutchins leads the operational, sales and administrative functions of Gilbane’s Massachusetts and New Hampshire offices. Under Mr. Hutchins’s leadership the district more than doubled the number of construction projects it oversees with current construction projects valued at $2 billion, and increased the number of employees in Massachusetts from 80 to 210. 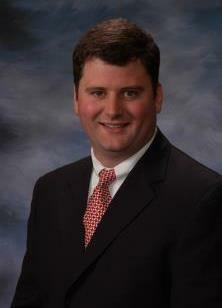 Mr. Hutchins began his career with Gilbane as an intern in 1997. 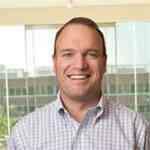 Since then he has since served in many positions for Gilbane, including business development manager, project engineer, project manager, regional quality manager, project executive, and district operations manager. In addition to his numerous professional accomplishments, Mr. Hutchins’s involvement in many industry and community service initiatives is notable. He serves as a Trustee at Wentworth Institute of Technology and Chair’s the Board of Trustees at Ben Franklin Institute of Technology. Mr. Hutchins received his Bachelors from Wentworth Institute of Technology and holds a Masters in Business Administration from Babson College. Ryan lives in Wellesley with his wife Allison, three beautiful daughters and a son. Jake Izikson started his career as a Mechanical Engineer and a Six Sigma Black Belt at General Electric, after which he switched to management consulting at Deloitte Consulting. For the past twelve years he has focused on managing and improving Sales Operations for software and high tech manufacturing firms. Currently Jake runs Sales Operations for a mid-size manufacturing company with primary focus on LED/lighting with significant business presence across Asia. Jake has BS and MS degrees in Mechanical Engineering from Rensselaer Polytechnic Institute and Tufts University, respectively. Jake and his wife, Jennie, have lived in Wellesley since 2001. They have a son who is a sophomore at WHS and daughter in seventh grade at WMS. Both children have been in the Wellesley public school system since kindergarten at the Hardy elementary school. Melissa Johannes is a patent attorney and former partner with Wolf Greenfield, a Boston-based intellectual property law firm. She has fourteen years of experience protecting innovations in function and design in the areas of software, electronics, medical devices and consumer products. Collaborating with multi-disciplinary teams of engineers and scientists, she has helped her clients achieve business goals ranging from attracting financing to commercializing products to selling IP assets. Melissa received a Bachelor of Science in Electrical Engineering from Tufts, where she was co-president of the Society of Women Engineers, and a law degree from Suffolk. She lives in Wellesley with her husband and two children, the older of whom is an enthusiastic kindergartener in the Wellesley Public Schools. Barbara Piper advises businesses and organizations on technology and innovation and how to build alliances to further product development. Barbara has industrial experience in R&D in medical devices, pharmaceuticals and microelectronics. She has also worked in academia both in the UK and the US as a researcher in novel biomaterials. 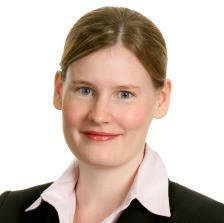 Barbara has a BS and MS in Polymer Science and Engineering and an MBA from the University of Edinburgh. She has worked for a private venture capital firm in London as head of technology assessment for start-ups and been a director of several new companies in the UK. She has two children, one at New College of Florida and another at Wellesley High School. Barbara enjoys live music, dancing and experiencing art in all forms around the globe. Charlie Purtell is a graduate of the University of Wisconsin-Madison with a degree in Biochemistry and from the University of Rochester with an MBA in Finance and graduate studies at the School of Medicine and Dentistry. 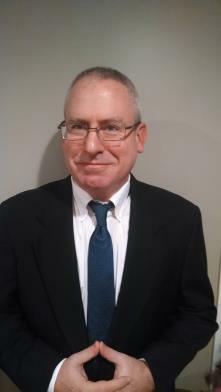 He has been an executive at science and technology based businesses for over 25 years and is currently a director of strategic development at Danaher Corp. Charlie has worked on education strategies with the Dean of the Simon School at the University of Rochester and more recently has worked with the entrepreneurial eco-system around MIT including judging the $100K Business Plan and participating in healthcare hackathons. He has resided in Wellesley for the last 6 years since relocating from San Francisco and has a three daughters. Charlie is looking forward to bringing his collective of experiences and enthusiasm to the Advisory Committee for STEAM programming. Richard M. Schwartzstein, MD, Ellen and Melvin Gordon Professor of Medicine and Medical Education at Harvard Medical School, is Associate Chief of the Division of Pulmonary and Critical Care Medicine at Beth Israel Deaconess Medical Center (BIDMC) where he directs one of only two national centers for the study and treatment of dyspnea (shortness of breath). The Asthma and Dyspnea Center at BIDMC specializes in the evaluation of patients with dyspnea of unclear etiology or breathlessness seemingly out of proportion to the patient’s known pulmonary problems. Dr. Schwartzstein has been an active clinical educator and researcher since he came to the HMS faculty over 20 years ago. 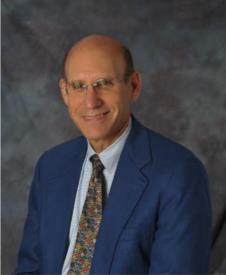 He completed a Rabkin Fellowship in Medical Education, for which he was named the Kay Senior Fellow. He is course director of Integrated Human Physiology in the first year curriculum, and he developed the Principal Clinical Experience program at BIDMC for third-year students. His textbook, “Respiratory Physiology: A Clinical Approach,” received a national award for its interactive style. With over 20 years of experience in the technology industry, Sara Spalding brings deep engineering knowledge, a creative approach, and a can-do attitude to the STEAM advisory committee. Most recently, she founded and ran Microsoft’s campus in Cambridge MA, bringing hundreds of professional engineering jobs to the Commonwealth, and represented Microsoft on the boards of several non-profit organizations, including Mass Challenge, MITX, and the Kendall Square Association. She also started and ran Microsoft’s first app incubator, which teaches engineering practices to local university interns while they work together to build and ship an app. The incubator, started here in Cambridge, has been expanded globally. 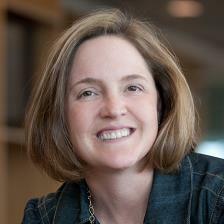 Before moving to New England in 2005, Sara managed engineering teams at Microsoft’s corporate headquarters in Redmond, WA. Sara has a BS in Computer Science and Math from the University of Puget Sound. She lives in Wellesley with her husband and two children. Mr. Stagliano is a senior aerospace engineer with a wide range of experience in ground vehicle, aircraft, helicopter, missile, and ship structural design and assessment. 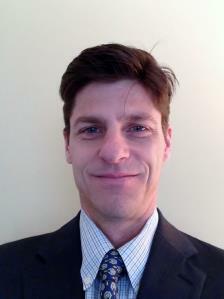 Mr. Stagliano is a graduate of MIT, earning the SB, SM, and Engineer in Aeronautics and Astronautics (EAA) degrees. Mr. Stagliano currently leads the Vehicle Vulnerability Assessment group of Exelis Inc.
Mr. Stagliano is a senior member of the AIAA and a member of the ASME and the SAE. Mr. Stagliano lives in Wellesley with his wife who is a graduate of Wellesley High School. Tom and his wife have two children who graduated from Wellesley High School. Mr. Stagliano is a long time high school, college and adult amateur soccer referee, and is the current President of the Eastern Massachusetts Soccer Officials Association. Mr. Stagliano also is a current and longtime ice hockey goaltender. Mr. Stagliano is (since 1976) a current MIT Education Council Member and has interviewed applicants to MIT from Wellesley since 1989. 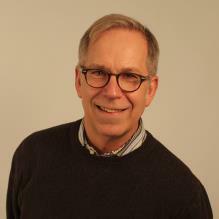 Rick joined WCAS in 2014 as a Senior Industry Executive. He focuses on investments in the information/business services sector with an emphasis on healthcare information technology. 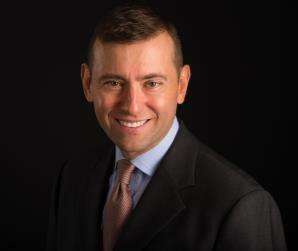 He has over 12 years of experience as a CEO or COO of a private equity sponsored companies. Mr. Willett was previously the CEO of Ascend Learning, the leading provider of software and on-line content solutions that improve the quality and cost of educating healthcare professionals. Prior to Ascend Learning, he was the CEO of NewPage, a $4BN manufacturing company and the COO of Teleglobe, a $1.2BN software enabled telecom services business. Before Teleglobe, he had a 12 year career at General Electric that included CFO, general management, and engineering leadership roles as well as 6 years on GE’s corporate audit staff in a variety of international assignments. Mr. Willett holds an M.B.A. from the Lally School of Management and Technology at Rensselaer Polytechnic Institute and a B.S. in Chemical Engineering from Worcester Polytechnic Institute. Julie is currently in her 9th year at Wellesley High School as a biology teacher. She graduated from Bowdoin College with a B.A. in Neuroscience, and also holds an M.Ed. from Harvard University. Her pedagogical goal is to close the gap between high school biology and current laboratory research. To this end, she has spent two summers doing microbiology and genetics research at Northeastern University sponsored by the National Science Foundation. Julie has served as the educational liaison to the Broad Institute of MIT and Harvard, helped to create their summer internship program for high school students, and has incorporated the DNA sequencing project from that program into her classes at the high school. In late 2013, Julie was one of eight Massachusetts science teachers selected to create a lesson for MIT BLOSSOMS. The video lesson on recent human evolution is now accessible to teachers worldwide and was designed to incorporate features of the Next Generation Science Standards (NGSS). Most recently, Julie has forged a partnership with the Personal Genetics Education Project at Harvard University to provide students with an interdisciplinary approach to the role of genomics in health and disease. Nancy earned an A.B. 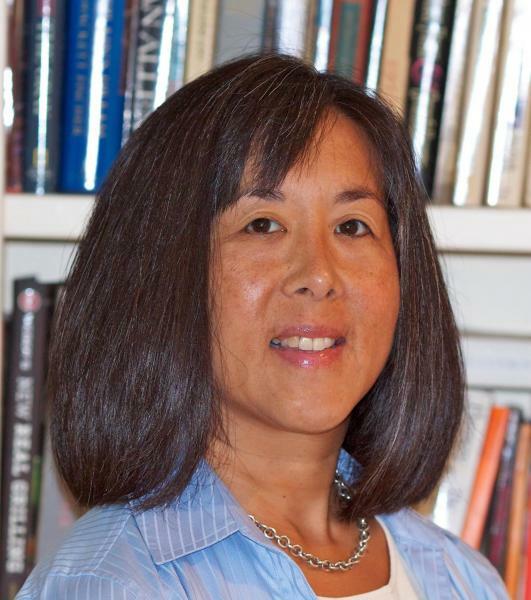 in Italian from Brown University, did post-graduate work at San Francisco State University, and earned her Ed.M. in Teaching, Curriculum, and Learning Environments from Harvard University. 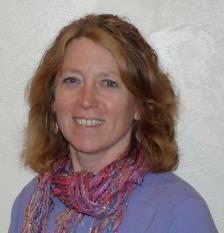 Before becoming the WMS mathematics Department Head in 2004, Nancy taught elementary school in Minnesota and middle school math and science in Massachusetts for 15 years. Thom has been the K-12 Director of Art since joining the Wellesley Public Schools in 2004. Over his 20-year teaching career he has taught at primary, secondary, and the college levels. He has a B. S. in Journalism from The University of Kansas, a B.F.A. in Printmaking and Graphic Design from Massachusetts College of Art & Design (Mass Art), and a M.S.A.E. from Mass Art. He lives in Wellesley with his wife and their two children, one at WHS, and the other at WMS. Carolyn has been part of the Wellesley Public Schools for 20 years. She began her Wellesley career at Schofield School as a 5th grade teacher and later served as a 4/5 multi-grade teacher. 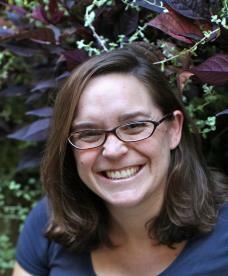 After taking some time off, Carolyn returned to Wellesley as a 4th grade teacher at Upham. Seeking new challenges and new professional growth, two years ago Carolyn switched roles to become the PK-5 Science Coordinator. In her new position, Carolyn supports teachers in all seven elementary schools and P.A.W.S. In addition, Carolyn is leading the district’s elementary science curriculum review and development. Carolyn has B.A. from Tufts University and her M.Ed. from Lesley University. In 2011 Carolyn earned her administrative licensure (PK-6 Principal/Assistant Principal) through Boston University. Jackie has been teaching in the Wellesley Public Schools since September 2004, initially as an Elementary Instructional Technology Specialist and most recently as the 1:1 Coordinator. In her current role, she oversees 1:1 program logistics, leads professional development for teachers and works with students on using the technology responsibly to problem-solve, communicate, create and innovate. 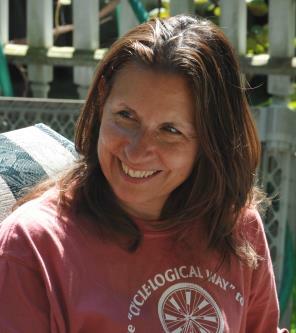 Having grown up in neighboring Newton, Jackie returned to the Boston area after graduating from Middlebury College in 1997 with a degree in Psychology. In 2005, she completed her Master’s in Technology in Education from Lesley University. Previously, she taught Third Grade in the Brookline Public Schools and computers in the Boston Public Schools. When not working on all things iPad, Jackie lives in Roslindale with her husband and their 3 children, the oldest of whom is a student at the Schofield School. 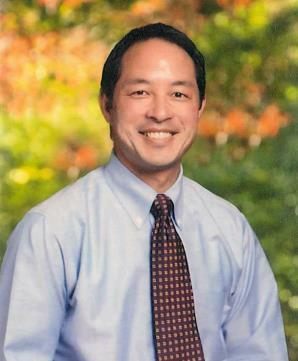 Mark Ito made a career change into the field of Education after 15 years in high-tech, business development and marketing. He started in technology start-ups in the Silicon Valley and ended owning his own small business in corporate marketing events. For the past 10 years, Mark has fulfilled roles in the Wellesley Public Schools district as an intern, English teacher, Department Head of English and Principal. He holds degrees in Communications, Business Management and Teaching from UC San Diego, Boston University and Simmons College. Currently, he resides in Waban, MA with his wife, two children and their border collie. He is a native of San Jose, CA. 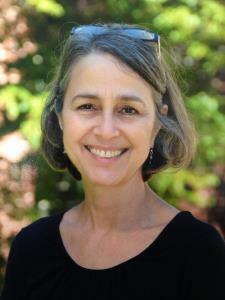 Nora is currently in her 10th year with the Wellesley Public Schools. She began her career in Wellesley as a sixth grade science teacher at WMS. After spending 3 years at the Middle School, she joined the WHS Science Department in 2008. During her 7 years at the high school, Nora has served as a chemistry and biology teacher, Interim Assistant Principal, and Interim Department Head of Science and Technology. In July 2014, she assumed the permanent role as Department Head of Science and Technology. Nora graduated from Wellesley College with a B.A. in the Biological Sciences, and she also holds an M.S.T. and Certificate of Advanced Educational Specialization in Educational Administration from Boston College.